Dr. Edalat’s team approach for restoring teeth with caries follows the Biomimetic principles of treating the teeth with the most conservative treatments and using dental materials that are closest in characteristics functionally and aesthetically to the natural tooth structure. Dr. Edalat is a certified specialist in Prosthodontics which is the science and art of restoring teeth. Therefore he has a more comprehensive knowledge and vision as to teeth restorations and how to adjust the bite to ensure long term success. The composite resin bonding technique is well suited for minor restorations because composite resins are weaker than Feldspathic porcelain or ceramic materials. The stiffness and strength of Feldspathic porcelains and other ceramics are more similar to that of a natural tooth than any other restorative materials. Also their inherent physical characteristics are aesthetically more similar to natural teeth such as their transparency, shine, lustre, translucency, surface texture, etc…For this reason they are the ideal materials to restore teeth according to the Biomimetic approach. 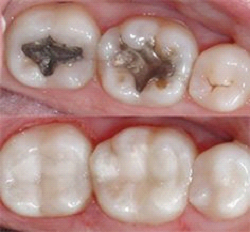 The use of silver Amalgam fillings is contraindicated to restore teeth with caries in modern dentistry. Instead the use of composite resin bonding as filling materials, Glass ionomer materials and porcelain or ceramic filling materials has become the choice restorative materials. Due to their inherent characteristics such as their relative strength, stiffness and aesthetic properties which are more similar to the natural tooth structure. Also the bonding technique used to bond the composite resins or porcelains and ceramic materials helps to hold the cavity walls of the tooth better than Amalgam silver fillings which are not bonded to the teeth. The tooth is strengthened more with bonded filling materials, which helps to preserve the remaining tooth structure from fracturing. Composite resin bonded fillings are indicated for small to medium size tooth cavities, due to their weaker strengths and stiffness compared to ceramics and porcelains these resin bonded fillings are more susceptible to fractures or bacterial infiltrations over time with subsequent recurrent caries formation under the fillings which may cause more extensive loss of tooth structure thereby weakening the tooth even more and the tooth may need to have a root canal therapy done due to the the bacterial tooth decay expanding into the nerve chamber of the tooth. Therefore for larger size tooth cavities the ideal filling material to use are porcelain or ceramic bonded filling materials. These materials are stronger than resin bonded filling materials and are more similar in strength and stiffness to the natural tooth structure than any other materials. therefore both functionally and aesthetically they are superior to resin bonded filling materials. Porcelain and ceramics do not stain over time as composite resin bonded fillings do. The ceramic and porcelain materials also have an inherent shine and lustre similar to the natural tooth structure which the composite resin materials lack. 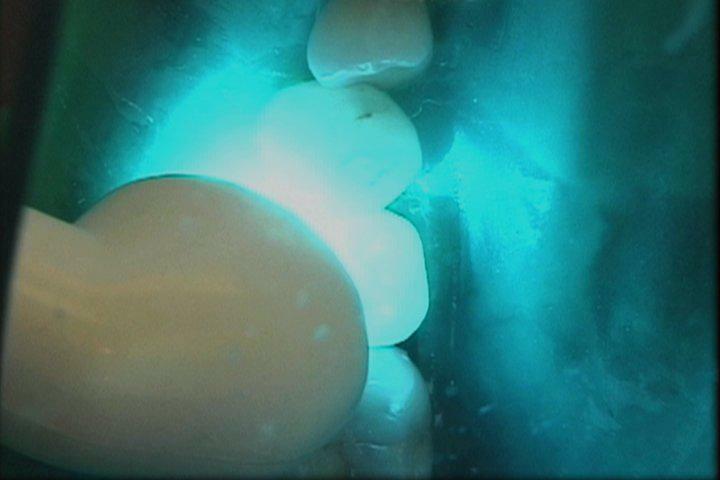 Another advantage of the ceramic and porcelain materials is that the master ceramist in the laboratory creates these restorations therefore the aesthetic aspects such as the tooth anatomy, surface texture, and the optical effects of these materials such as their transparency, translucency, opalescence, color and fluorescence are superior to composite resin bonded filling materials. At Cosmetic Dental Specialists in NYC, we recognize the impact of toxic materials and their effect on the general health of our bodies. We are concerned about the integrity and health of the oral cavity and we strive to find materials that are systemically compatible and safe for the environment as well as our patients. For treatment of cavities, our dental practice uses cosmetic bonding fillings where possible. 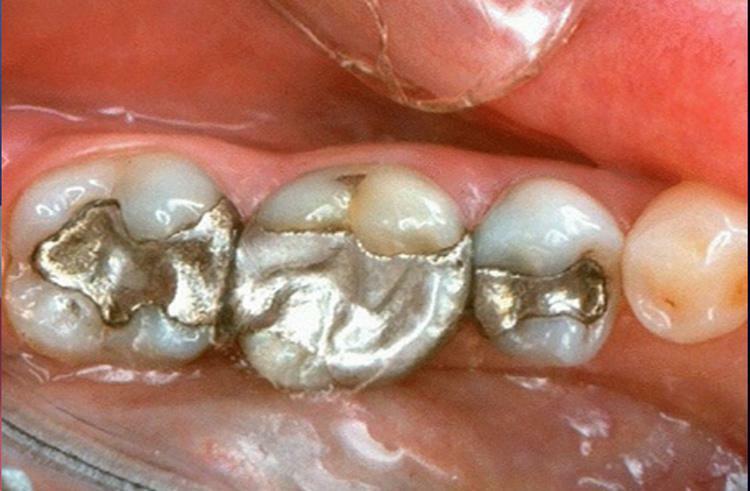 Amalgam fillings, silver in color, are composed of 50% mercury which is the most toxic nonradioactive substance on earth. According to research, only 24% of consumers are aware that these fillings are primarily composed of mercury. Exposure of mercury in the human body can lead to damage to the central and peripheral nervous systems causing headaches, tremors, insomnia, memory loss and several other symptoms. This expansion can lift the filling, creating a gap that allows bacteria to seep under the filling. 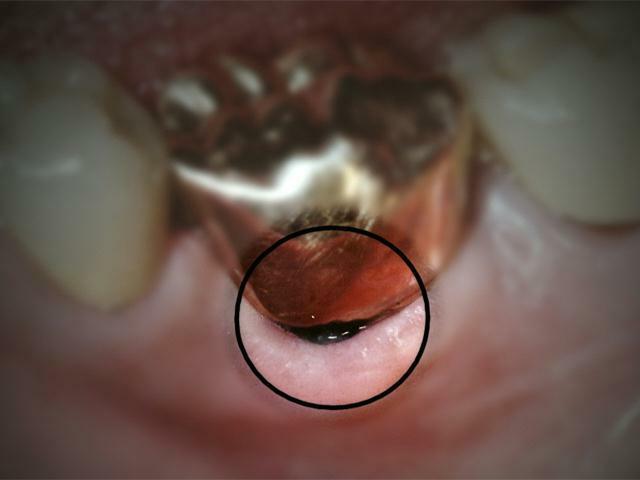 The metal can contract, opening a gap that also allows bacteria into the tooth. 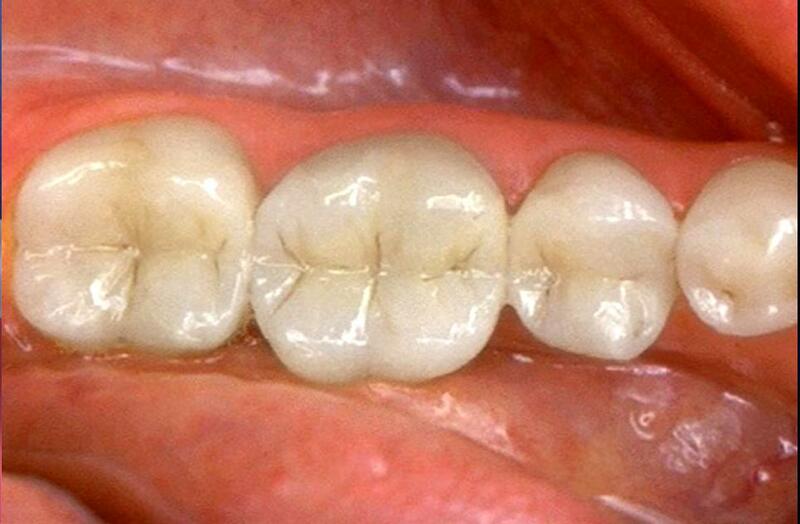 This expansion and contraction stresses your tooth and could cause it to break. Biting puts significant force on a silver filling and, as it ages, the filling can crack and break. Silver fillings do not match the natural color of your teeth, and the fillings can turn black and unsightly. Because a silver filling does not bond to your tooth, it must be locked into place. This requires that we remove more healthy tooth structure than with other types of fillings. 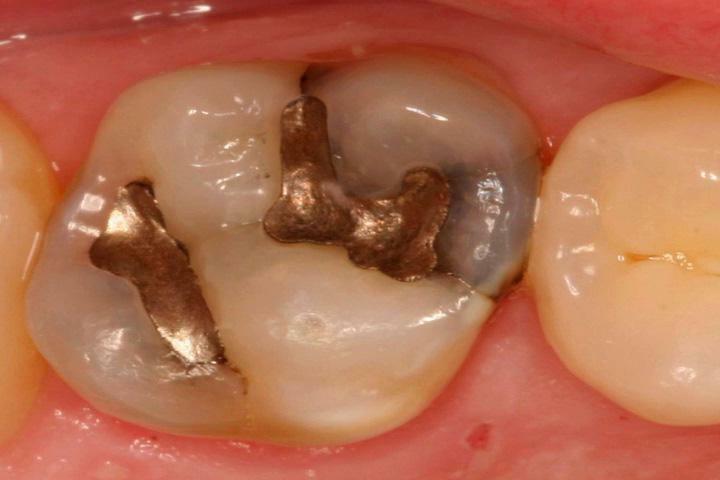 An amalgam filling might cause you to be sensitive to hot or cold for a short time. 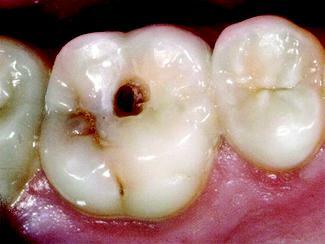 Over time, there can be discoloration where the filling meets the tooth. Some patients are allergic to the metal used. It can be less expensive than a crown or veneer/laminate. In some rare cases there may be a temporary phase of sensitivity after bonding procedures which may last up to three months. WHAT IS A TOOTH CAVITY ? The Xray above is showing caries, known as tooth decay or a cavity formation in the interproximal region of the teeth, that is between the teeth. If left untreated because the patient is not going for regular six month check up appointments at the dentist, taking preventive X-rays to check the areas where the eye can not see, the decay will expand in to the nerve chamber of the tooth causing an infection which will need a root canal therapy and fourth restorative work after the root canal such as post & or crown. Therefore it is recommended to practice prevention on a daily basis with your routine home care, and at your dentist with your six month checkups. 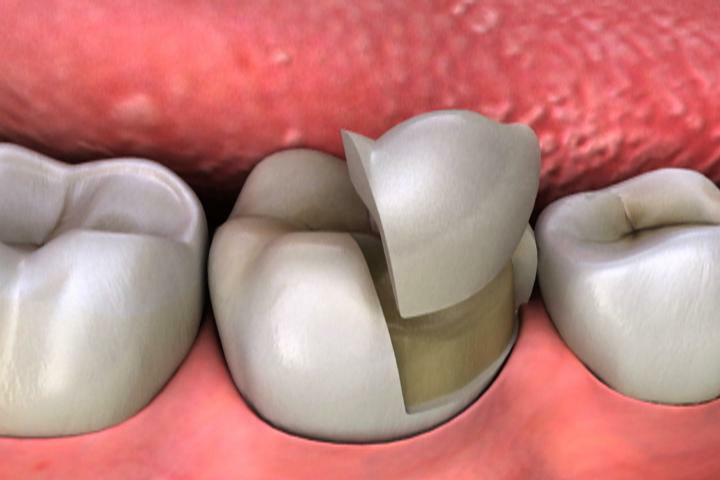 When a tooth has decayed and developed a cavity, it’s important to remove the decay and restore the tooth. Treatment will stop the cavity from growing larger and weakening the tooth, and it will also prevent bacteria from infecting the inner layers of the tooth. 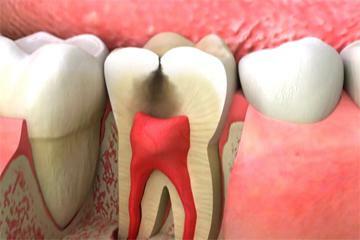 A cavity is a hole in the tooth that forms when acids in the mouth destroy tooth structure. These acids are produced by the bacteria in plaque, which is the sticky, colorless film that forms constantly on your teeth. 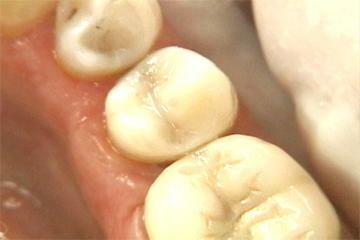 Unless steps are taken to prevent this decay process, the acids slowly dissolve the tooth enamel, causing a cavity. We locate tooth decay by performing a thorough exam, which can include visual inspection and the use of a dental explorer, x-rays, and sometimes specialized equipment as well. In some cases, we can see cavities easily on the biting surfaces of your teeth. To check for cavities that are less easily seen on the tops and side surfaces of your teeth, we may use a dental explorer, which sticks slightly when it touches decayed areas. We also use x-rays to find more advanced decay inside a tooth or incipient decay between teeth. 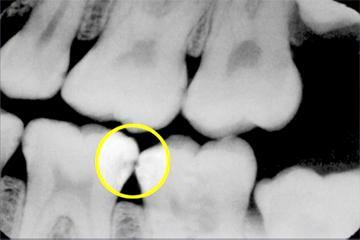 On x-rays, cavities show up as dark spots. During your exam, you may hear us identify the location of a cavity by using numbers and letters. They help us identify the specific surface of a particular tooth. For example, your lower left wisdom tooth is tooth number 17, and the top surface is labeled “O,” which stands for “occlusal.” This term refers to the biting surface of a tooth. If we find cavities in your teeth, we’ll remove the decay and place a restoration. There are several types of restorations, including fillings, inlays, onlays, and crowns, and these can be fabricated from a variety of different dental materials. 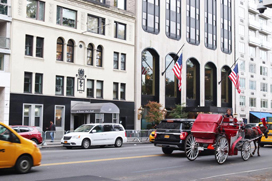 We’ll talk with you about the best restoration for your situation. By treating decay as soon as possible, we can often prevent it from causing further damage and more extensive treatment in the future. When a tooth has a cavity or you need to replace a worn filling, a natural-looking white restoration can be a beautiful choice. 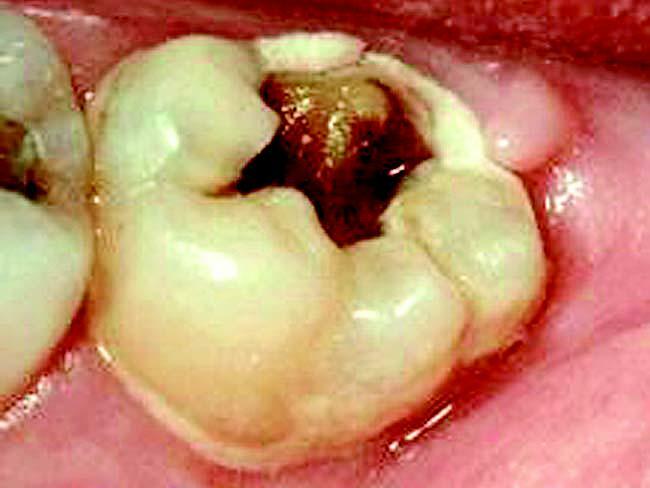 A larger cavity may need an indirect restoration. We remove the decay or the old, worn restoration. The new restoration will be created in the lab to precisely fit your tooth. It is important to treat tooth decay as soon as possible. Once decay has become established, it can grow quickly. If the cavity penetrates the outer enamel layer of the tooth and reaches the softer dentin layer, bacteria can cause an infection in the pulp layer, which contains your tooth’s nerves and blood vessels. 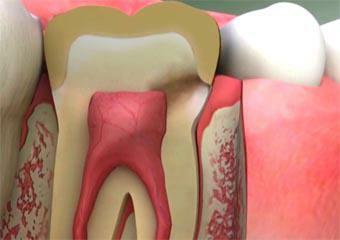 The only way to treat the infection is by performing root canal therapy to remove the infected tissue.